Dating from around 1900 and with the most spectacular floral inlays, this fine cylinder desk is well and truly a stylish piece. 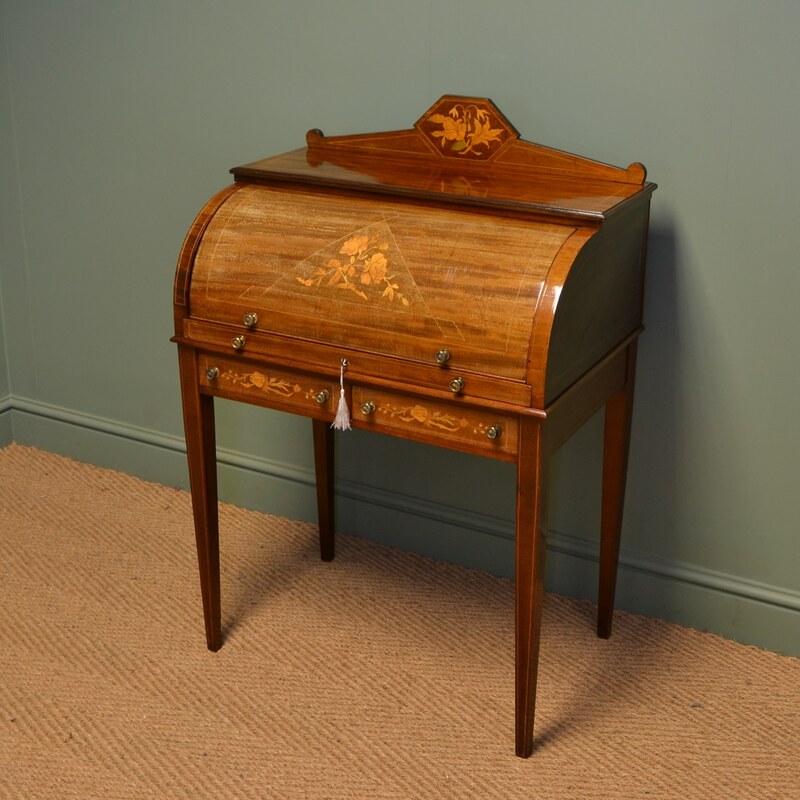 Dating from around 1900 and with the most spectacular floral inlays, this fine cylinder desk is well and truly a stylish piece. 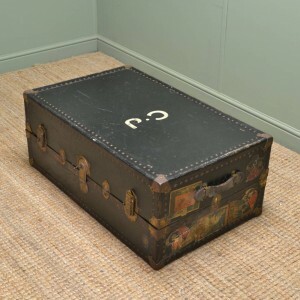 With a shaped back above a cylindrical front and has a pull out writing slide with burgundy tooled leather, inside it features two small drawers and several pigeon holes. 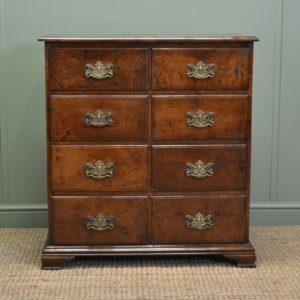 Below there are two mahogany lined drawers with decorative brass handles and it stands elegantly on four tapering legs. 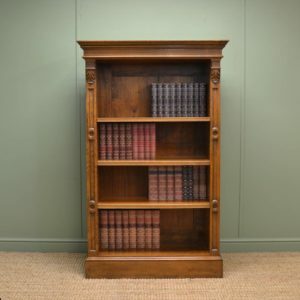 The mahogany has aged to a warm shade with a striking grain, good patina, is in very good condition and has been beautifully cleaned using a traditional form of wax finishing.